THIS POST HAS BEEN PASTED TO THE TOP OF THIS PAGE. NEWER POSTS MAY BE BELOW. At $800, the newly announced Alpine iLX-007 head unit is one of the pricey CarPlay options available at the moment. 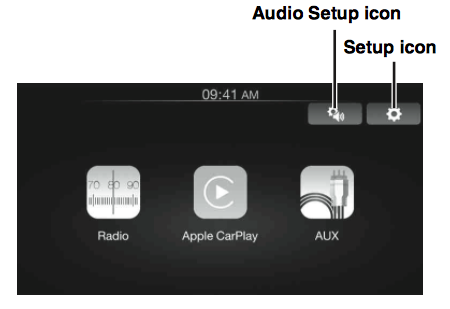 The double-DIN device is the only other alternative to Pioneer's CarPlay head units (NEX and AppRadio 4). So how does it compare to the six options that Pioneer has to offer? Look through the specifications of the Alpine iLX-007 and you'll see why the $800 price tag may look a little steep. The device lacks a few standard features that Pioneer's NEX receivers and even the lower priced AppRadio 4 (SPH-DA120) offers. 1. Bluetooth: Looks like Alpine decided to leave out Bluetooth connectivity in its head unit. Without Bluetooth, you miss out on streaming music wirelessly and using your iPhone to make calls without connecting it to the head unit while driving. CarPlay works fine and uses the USB connection but Bluetooth is still too conspicuous by its absence. 2. HD Radio: No HD Radio capability in the iLX-007 puts it on par with the Pioneer AVIC-5000NEX and AppRadio 4 (SPH-DA120). 3. Built-in Navigation: The iLX-007 does NOT feature built-in navigation (like the Pioneer AVH-4000NEX and AppRadio 4) so users will have to use the Maps application in CarPlay for their navigational needs. 4. Optical Disk Drive: Lack of a disk drive in Alpine's head unit may be a drawback for some buyers. 5. Dimensions: The iLX-007 is only 3-inches deep which will give installers plenty of room to work with when hooking up cable kits. Standard double-DIN receivers are almost double that depth. 6. Touchscreen: The 7-inch touchscreen on Alpine's head unit is a capacitive display like the Pioneer AppRadio 4 and AVIC-8000NEX. Other NEX receivers feature a resistive touchscreen. The 7-inch size is also larger that the 6.2-inch AppRadio 4. 7. Dedicated Siri button: The physical Siri button on the iLX-007's button bar gives users direct access to the voice assistant. None of the Pioneer head units have this but long pressing the home button triggers Siri on those. 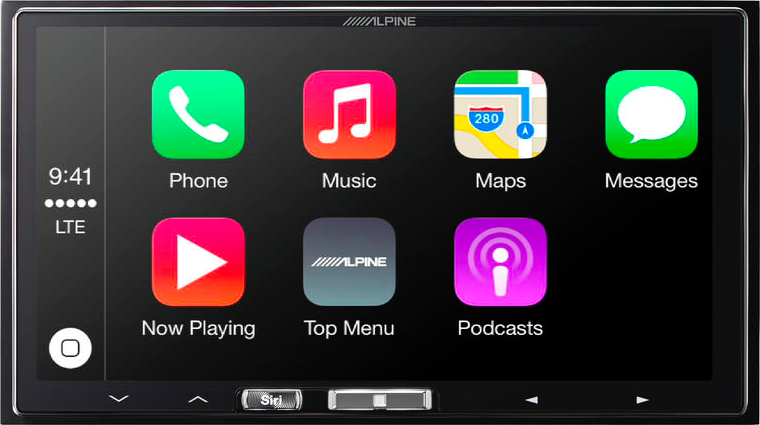 The Alpine iLX-007 is designed specifically to provide CarPlay functionality to users. But, at $800, it is a pricey option. Pioneer's AVH-4000NEX (priced at $700) and AppRadio 4 (priced at $600) are much cheaper alternatives. And Pioneer's receivers can be purchased from online retailers like Amazon for even lower prices ($520-$580) at the moment. For me, the extra usb dongle is key for the Appradio. I'm still a dinosaur and would rather use an iPod for my music library. LOL Plus the price keeps dropping on Appradio. I may get one soon. I'd love an Appradio 4 but I'm trapped into using Mitsubishi's Milti Communication System which seems to be too integrated to realistically change but I'm amazed car makers can seel such botched efforts at hands free audio control. The unit takes around 7 minutes to analyse a 32gb iPod music library and the hands free voice command is only accurate when you speak exactly the same way it does - like a 1980's science fiction android. It's embarrassing. Why won't they simply add Carplay to these units which, I understand, are worth thousands. Total arrogance. I have the 8000nex and got all the bells and whistles. What not to like the 8000nex. it got BT, 2 USB ports, HDMi, Navigation, and blue bus port. I was able to get appradio to work on my Note Edge via HML adapter. No need for Pioneer Android AppRadio kit.